I just got back from the vacation of a lifetime, almost a week in Paris, then a Mediterranean Cruise through France, Italy, and Spain. It was a memorable trip that we had saved for for awhile. My whole family went along with my mother-in-law. When we arrived in the Barcelona airport after 14 days of travel to finally return home, we were informed that our flight was cancelled and we would have to stay another day. My oldest son immediately replied, ‘of course it’s cancelled, everything that could go wrong, has.’ Funny enough, for a split second I had no idea why he said that, then I remembered the fine details which my mind had already blocked out. First, our flight out was delayed an hour because as the pilot inspected our plane, some type of fluid went into his eye and he couldn’t fly so we had to wait for another pilot. When the new pilot arrived we were delayed another half an hour because an overhead bin got stuck and we had to wait for maintenance to fix it. 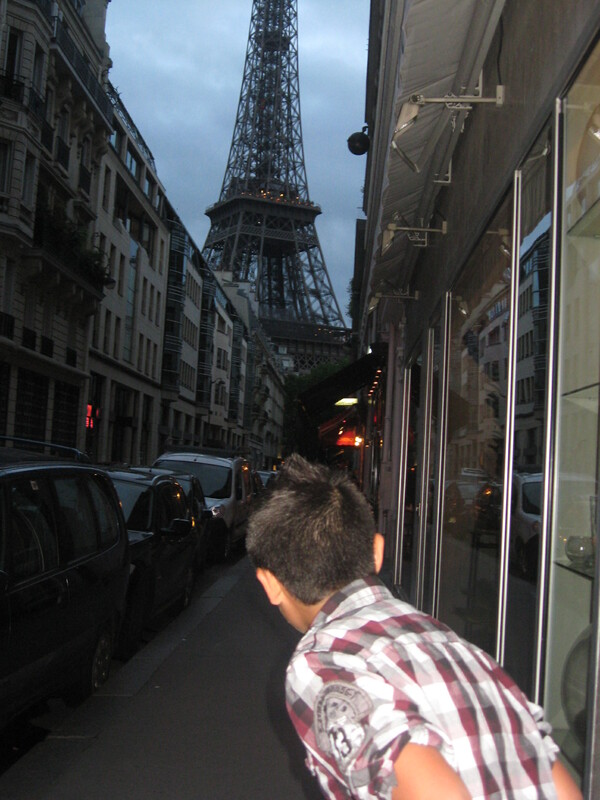 After flying all night, we arrived in Paris at 7am were dropped off at an apartment complex with no instructions. At 8, we were able to reach the rental company who told us that we were at a different apartment than they had originally assigned (which they hadn’t informed the driver of) and our new one would not be ready until 4pm. With map in hand we had to find their office to leave our luggage until our place was ready; so, after flying all night we walked all day through downtown Paris. On the third day in Paris the water in our place shut down, yup, six people, no running water…no showers, flushing toilets, drinking water, etc; it didn’t start again for about a day and a half. In the meantime we decided to pay for a hotel room a block away just to take showers and brush our teeth (and it wasn’t cheap). Our last day in Paris I was robbed, this event I do remember. Fortunately, I had emptied my wallet and only had my drivers license, two credit cards and some cash…it was still traumatic. Leaving Paris for Barcelona we flew on a small European airline. Unexpectedly we had to pay for each of our bags and had no assigned seats. Anyhow, I’m sure there were other things that happened on our trip but they are now a distant memory. Literally, when my son said that statement, all I could remember that was bad was my wallet being stolen. What I do remember is how beautiful and different everyplace was, all the history and the people. 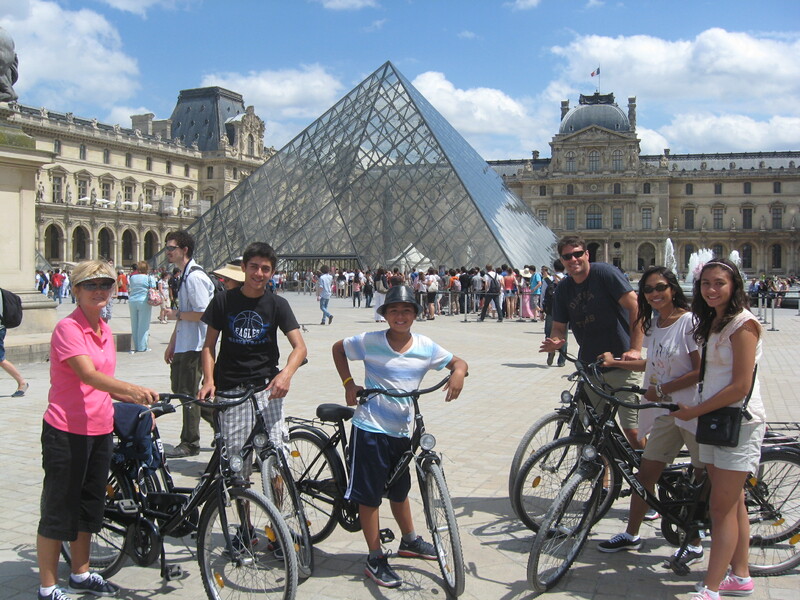 I remember our bike tour of Paris and was thankful that as we sped around the crowded city for three hours none of us got hit by a car and that none of us hit a pedestrian. I remember trying on lipstick (how could I resist) at a large Parisian department store and dancing in the streets with a group of breakdancers in front of a whole group of people. I remember being amazed by all the artwork in the Louvre, seeing Mona Lisa, and an original Monet. 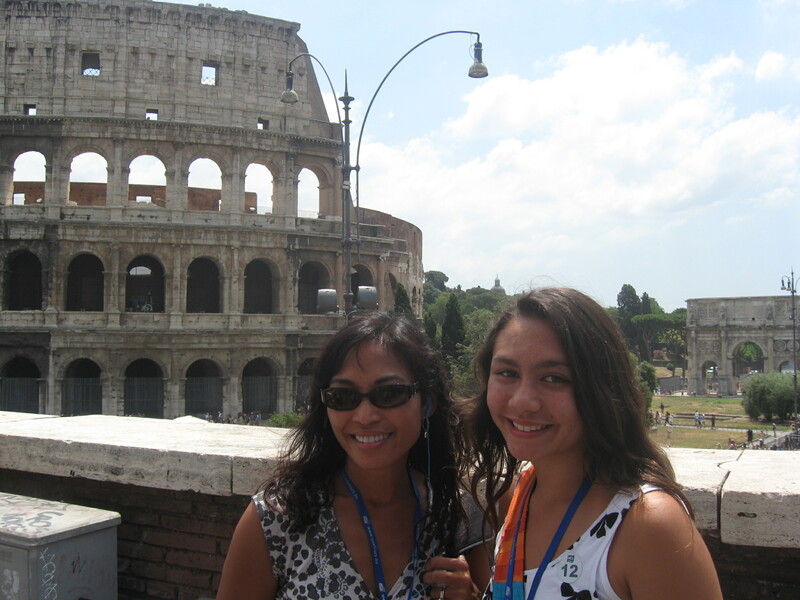 I remember being in awe of all the churches and the Roman ruins, the beauty of Gaudi architecture. It was incredible, I also met some awesome people with great stories. It’s perspective right? As we were funneled to different hotels because of the flight cancellation we met a couple who said everything went wrong on their vacation, lost luggage, cancelled flight, etc. the husband even said he wouldn’t leave the US again. How sad, no good memories? It’s all how you look at it. What could have been changed? What were you in control of? My vacation was awesome. We spent quality family time, we saw artwork and touched buildings we had only read about. The things that happened were only minor and we all walked away unscathed and richer for the experience. Life is a series of circumstances that we have to make the best of, so why not? Today I wear Buxom Big and Healthy Lipstick in Barcelona. First, I LOVE this lipstick. It’s like a fat crayon but unlike some of the others, it’s MOISTURIZING and stays put!! I chose Barcelona because it was one of the cities we went to that I loved but also because this color is candy red! To Life!! Thank you Anna for the article…adding it to my memories….and yes we had bumps in road…but it was an experience of a lifetime for me…thanks for including me…you are loved..
Paris is wonderful – I also did a bike tour there, and it was such a great way to see the city. This is an excellent post on perspective that can translate way beyond just travelling. Being able to remember the good & forget the bad is a blessing. Anna, I am so glad you didn’t let a few unfortunate mishaps ruin your vacation of a lifetime. Such wonderful family memories to cherish for ever. I am so happy for you. Thanks Kat! I know my kids will appreciate it later!